Was NASA’s Charles Bolden right all along about Muslim outreach? 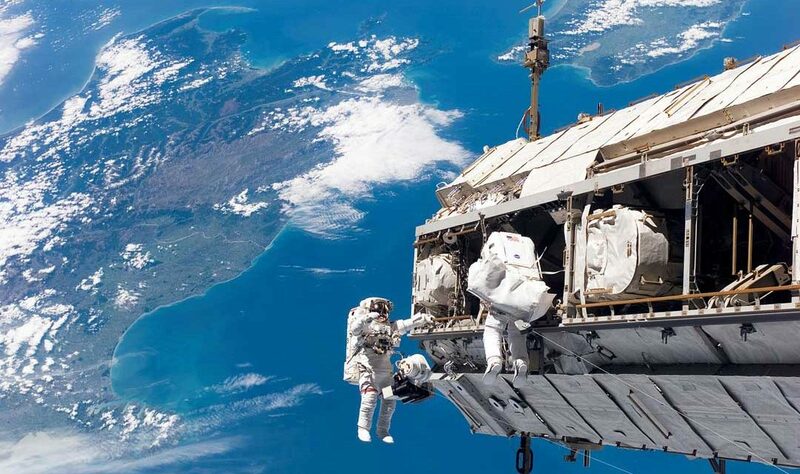 NASA is all about exploring space, but it has also always had a foreign policy purpose. In June 2010 NASA Administrator Charles Bolden remarked on the Arabic language network Al-Jazeera that President Obama believed that “perhaps the foremost” thing that NASA could do was to reach out to the Muslim world and make it feel good about its traditional contributions to science. The statement caused a media firestorm, with commentators wondering if NASA’s traditional role to explore space was being supplanted by a dubious public relations gambit. Both Bolden and the Obama administration were forced to backpedal to a certain extent. “We’ve staffed our space program with young graduates—the average age of the team is 27. I’m 29. That’s normal; in fact, I’m considered old within the team. Our work requires a monumental shift in mindset, and young people are more able to adapt to change. People aged between 15 and 29 make up over 30 percent of the Middle East’s population, and they should be given big projects. One of the problems with fighting terrorism is that the life, too often short, of a jihadi has a certain glamor among some Muslim youth, especially when they feel there are no other options and are being influenced by unscrupulous imams. The West can kill as many jihadis as it can, but their ranks seem always to be replenished by more young people eager to die as martyrs so long as the culture encourages jihad. The UAE is trying to fight this idea with another idea, harkening back to an old but long-forgotten tradition in the Muslim world that made it a center of science, mathematics, and art over a thousand years ago. But, for various historical reasons, that culture has atrophied in the Middle East. Sarah Amiri is suggesting that it is time to bring back learning and research to provide an alternative to terrorism and jihad. NASA is all about exploring space, but it has also always had a foreign policy purpose. During the Apollo race to the moon, the space agency helped to demonstrate the superiority of American freedom to Soviet communism. More recently, NASA has helped to forge bonds with American allies, as it has with the International Space Station. So using the space program to help the Middle East turn away from terrorism is not too great a stretch. Perhaps Bolden erred in using the word “foremost.” He spoke at a time when President Obama had canceled the Constellation program that would have returned Americans to the moon by the end of the current decade. The controversial decision plus the phrase “Muslim outreach” continues to roil social media from time to time. Recently, Administrator Bolden traveled to the Middle East and forged space cooperation agreements with Israel, which has its own space program, as well as Jordan and the UAE. Thus, NASA is doing the kind of outreach that Bolden suggested years ago. Here’s a sudden thought. NASA’s deep space exploration program is still a work in progress. It is aimed at Mars, but the intermediate steps are still being mulled over, including whether or not to reverse President Obama’s decision and go back to the moon after all. Why not conduct at least one mission to the moon with American astronauts, but also include an Israeli and an Arab? What a positive signal for young people in the Middle East and a rebuke to the terrorists who would be. Mark Whittington writes frequently about space and politics and has just published a political study of space exploration titled Why Is it So Hard to Go Back to the Moon? He blogs at Curmudgeons Corner.